Peter Ueberroth, a former commissioner of Major League Baseball and one-time chairman of the U.S. Olympic Committee will speak at Cal Poly Pomona Wednesday, April 15. 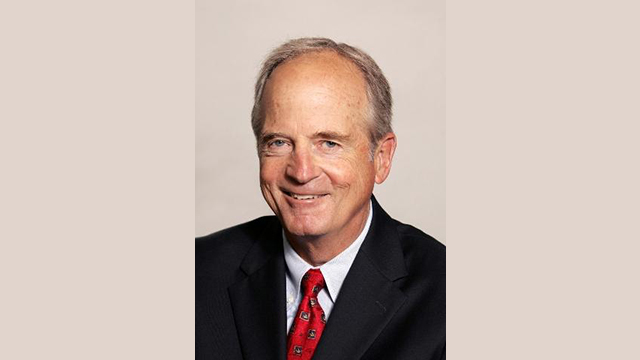 Peter Ueberroth, a businessman, former commissioner of Major League Baseball and one-time chairman of the U.S. Olympic Committee, will share his insights on leadership with the Cal Poly Pomona campus community. Ueberroth will speak Wednesday, April 15 in an event co-sponsored by the College of Business Administration’s Leadership Forum, funded by the Gregoire Family Trust, and the Kellogg Distinguished Public Lecture Series, funded by the Kellogg Legacy Project Endowment. The lecture will start at 6 p.m. followed by a question-and-answer session at 7. The event is free and open to the public but requires registration. Ueberroth serves as managing director of Contrarian Group, Inc., an investment and management company. He also is owner and co-chairman of the Pebble Beach Co. and is a member of the boards of directors at the Coca Cola Co., Aircastle Ltd, Easton-Bell Sports and the Irvine Co. He also is a fellow of the Academy of Arts and Sciences. Ueberroth, the sixth commissioner of Major League Baseball, has also served as chairman of the U.S. Olympic Committee and president of the Los Angeles Olympic Organizing Committee, which staged and operated the 1984 Los Angeles Games. He was named TIME magazine’s “Man of the Year” in 1984 and was inducted into the U.S. Olympic Hall of Fame in 2009. For more information about the Kellogg Lecture Series, visit http://www.cpp.edu/~kellogglectures/upcoming-speakers/index.shtml.